International Journal of Research in Health Sciences,2014,2,3,847-852. 1-Associate Professor of Pathology, Department of Pathology, Fathima Institute Of Medical Science, Kadapa., AP., INDIA. 2- Prof&HOD, Department Of Pathology, Santhiram Medical College, Nandyal, AP., INDIA. 3- Assistant Professor, Department of Pathology, Kurnool Medical College, Kurnool, Andhra Pradesh, INDIA. Gastric cancer is one of the leading causes of mortality in the world. It is the second most common carcinoma in the world and around 10 percent of all cancers. Objective: To study the gross and histologic type of the various gastric lesions. Method: The present study for a period of 7 years from June 1999 to June 2006 was done in the Department of Pathology, Kurnool Medical College, Kurnool. During the above period resected gastric specimen were analyzed. Results and Conclusion: In the present study, malignant tumors were more common. 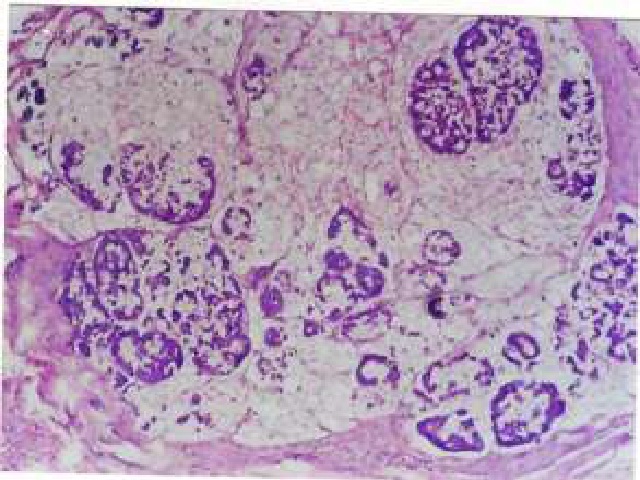 The incidence of malignant tumors were more common in males than in females. The peak incidence is observed during fifty to sixty years. The youngest age incidence was observed in 25 years male. The oldest age incidence observed in 80 years male. The common blood group observed in male was A-Group. The most common site involved was pyloric end.